Hand drawn pen illustrations finished and edited in illustrator. 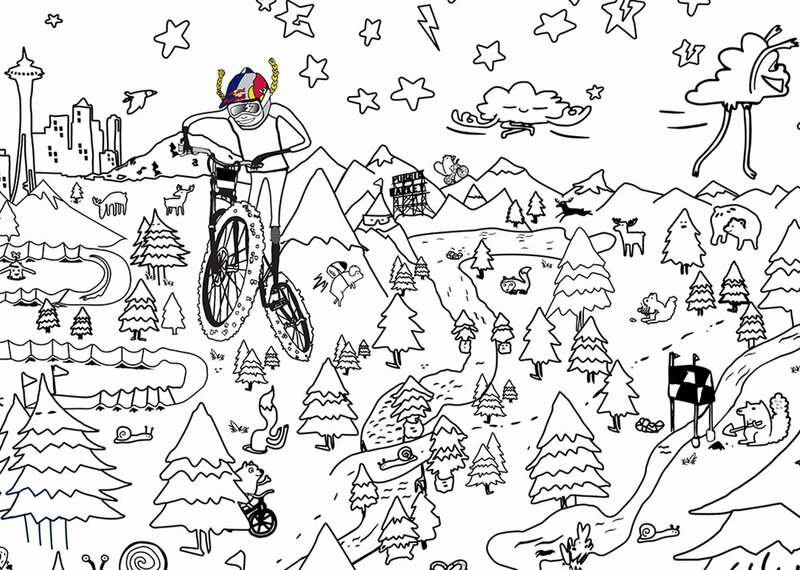 Produced by Shimano, Jill expanded her critter filled world into a giant coloring poster which was distributed by Freehub Magazine in their Summer 2018 issue during Crankworx . Buy issue (Vol. 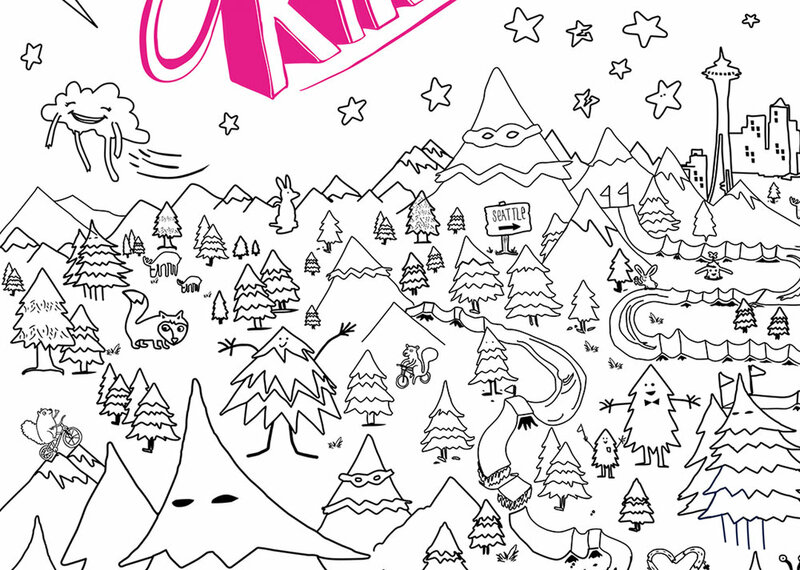 9 issue 2).